These are just two of many enthusiastic comments about the April DAN PD Workshops in Melbourne & Brisbane with Jeremy Hall and Mark Case. 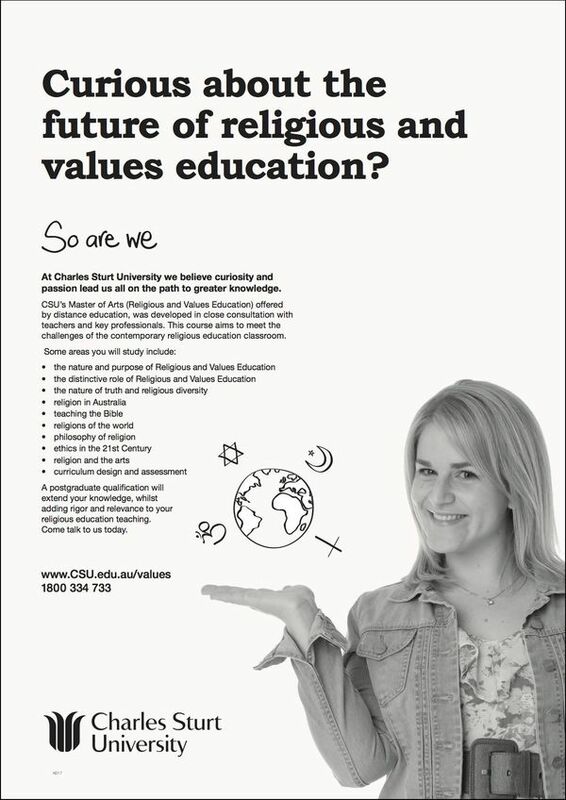 Bookings are open for Inspiring Questions: Teaching Philosophy & Religion workshops in Perth 14/8, Sydney 21/8 and Adelaide 25/9 (see more information below or on the DAN website). After compiling 18 Issues of Dialogue Australasia journal, convening 4 Conferences and organising numerous PD workshops from my home office in Perth over the last 9+ years as EO of DAN, I've decided it's time to create new possibilities for DAN and for me. To that end, a Job Advertisement for the part-time position of DAN EO has been posted on seek.com.au and the DAN website (where you can also find a Duty Statement). Applications close 5pm Friday 12 May 2017. A big thank you to everyone who has supported me in furthering the aims of DAN, particularly long serving members of the DAN Executive (Jeremy Hall and Terry McDevitt), Journal Committee (Nikolai Blaskow, Paul Rout and the team at MediaCom), Chairman Roy Kelley, wise and generous Felicity McCutcheon, and all those who have hosted PD workshops and contributed journal articles, conference papers and resources. May you and your colleagues be encouraged in your important work nurturing the minds and spirits of our students through critical & creative RE & Philosophy. Engaging and inspiring. Fantastic to be led by passionate and successful teachers. A time of rich resourcing, stimulating possibilities, and practical ideas. Excellent positive, energetic presentation with lots of practical ideas. Team approach worked really well. 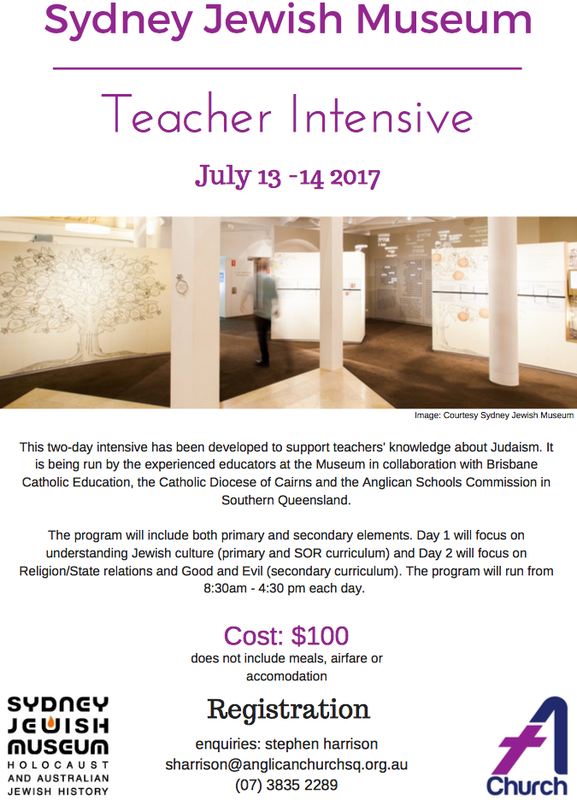 The kind of PD that commercial telly network executives should attend to see what really happens in Australian schools. I feel inspired, validated and hopeful about teaching RE and ethics again. A fresh approach to teaching RE in a challenging educational setting. Brilliant session. Well worth the time! Perth (14/8), Sydney (21/8) and Adelaide (25/9). 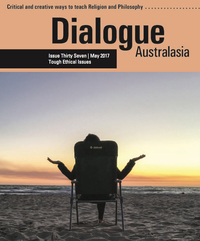 The May 2017 Issue (37) of Dialogue Australasia Journal themed around Tough Ethical Issues is in production. If you have not received your copy by 14 May or would like to order this issue, please contact the DAN EO. Thank you to everyone who has renewed their 2017 DAN Membership. Financial members will receive details of their new password to access resources on the DAN website in a letter accompanying the 37th Issue of Dialogue Australasia Journal. If you have queries regarding the status of your Membership or Journal Subscription, please contact the DAN EO. 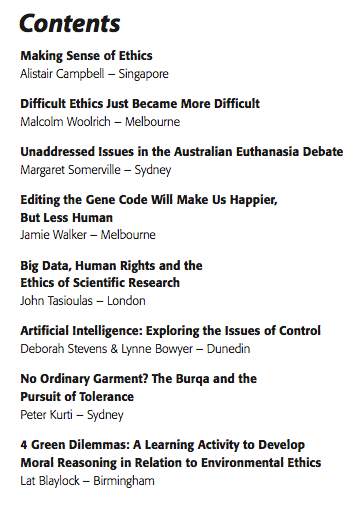 We were delighted to hear that a new curriculum has been developed around the excellent book, A Spectator's Guide to World Views - excerpts from which have been previously published in Dialogue Australasia Journals. Providing clear, objective treatment of ten highly influential systems of thought, A Spectator's Guide to World Views helps senior students navigate their way beyond the school gate by providing a framework through which to filter the dominant voices of our secular culture. A comprehensive Teacher's manual and Student handbook (available both as digital download and hard copy) are available for purchase from CEP. There are 8 titles in the excellent EO suite of films, with a new series on Christianity about to launch. 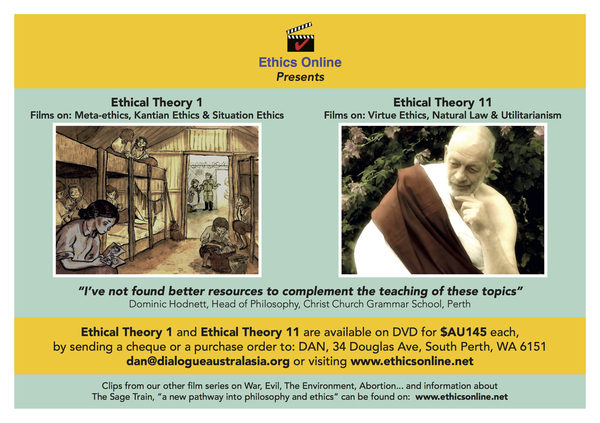 If you've yet to discover how the films and resources will animate your RE + Philosophy lessons, jump online and preview the films here. You can order films directly from DAN and pay in $AUD. EO are looking to appoint a marketing intern to manage their 2017 International Marketing Strategy. For more details see the position description. Starting in September, the HarvardX team that presented World Religions Through Their Scriptures will be offering a new, 6-week course on contemporary religion, peace, and conflict. This will be followed by the second offering of the full World Religions course sequence, running from January-July 2018. The course will include an entirely new module on Sikhism. These free, online courses offered on the learning platorm edX give you the opportunity for self-paced reading and moderated discussion posts - you'll encounter a wealth of incrediable resources to enrich your teaching about world religions. A person with religious literacy has an understanding and appreciation of the teachings of religions in the world, is knowledgeable about the various applications and manifestations of those teachings, and, perhaps most crucially, understands how religious faith forms, informs and enriches contemporary human society. Download a flyer or contact Stephen Harrison for any enquiries. Read more about prayer spaces and the Australian Tour dates.